Stressful day at work? 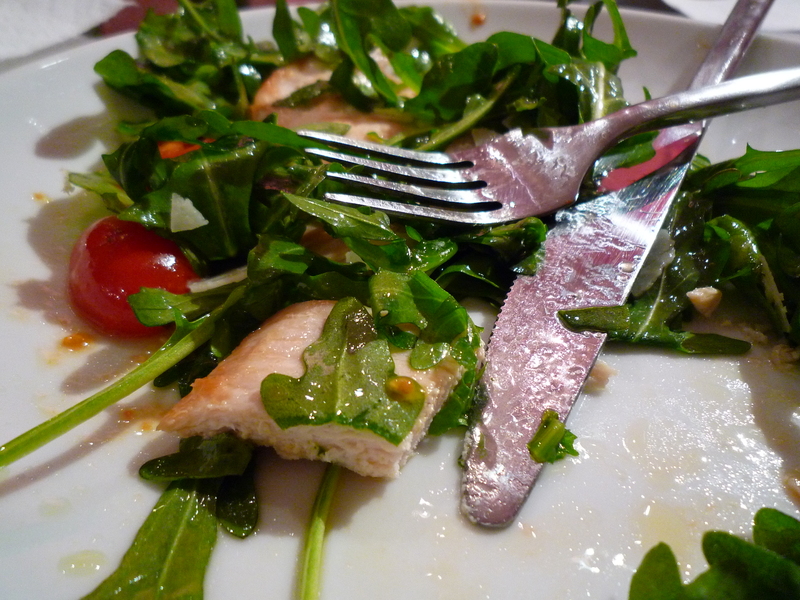 Make chicken paillard! After countless hours of scientific research, I have come to the very precise conclusion that this is the perfect dish to make after a long day. First of all, it takes about 10 minutes to make. Secondly, it requires very few ingredients. But most importantly, you get to pound the crap out of some meat. Forget screaming into your pillow, just try making chicken paillard and your stress will go away in no time! First things first: toss arugula with olive oil, salt, fresh lemon juice and set aside. For the chicken: Place boneless, skinless chicken breast between two pieces of plastic wrap (if you don’t have plastic wrap, you can place chicken inside a large plastic bag). Pound out meat using either a meat mallet or the back of a small pan until it’s about ¼” of an inch thick. I’m not that fancy and don’t own a mallet, so I use the back of a pan and it works just fine (for both the meat flattening and the stress relief-trust me). When pounding meat, be forceful, but not too forceful-remember that the chicken is delicate and we aren’t trying to pulverize it, just thin it out. Once chicken has been thinned out, place in hot skillet with oil for about 4 minutes on each side-just until skin is golden brown. Don’t leave it in there for too long because the chicken will dry out. 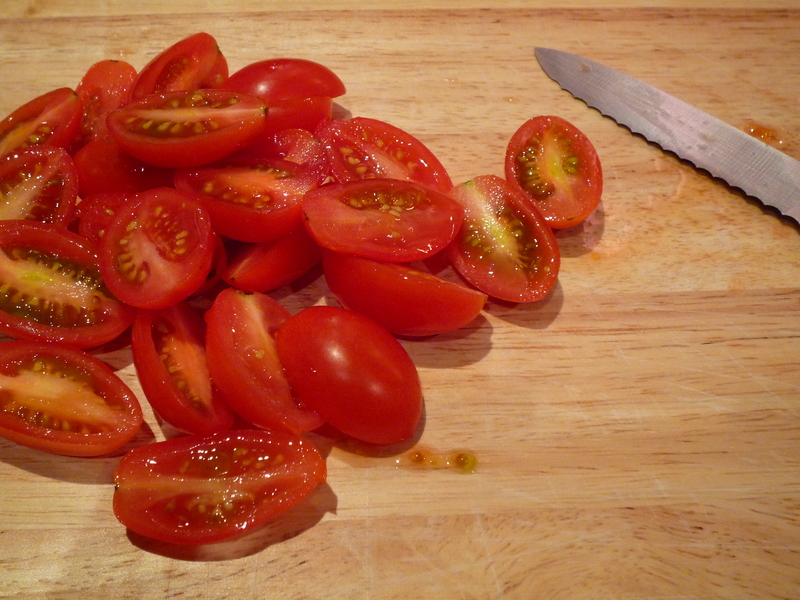 While chicken is cooking, slice grape tomatoes in half. When chicken is done, remove from skillet and throw the tomatoes in there. Sauté for about 3-4 minutes, just until tomatoes are cooked. 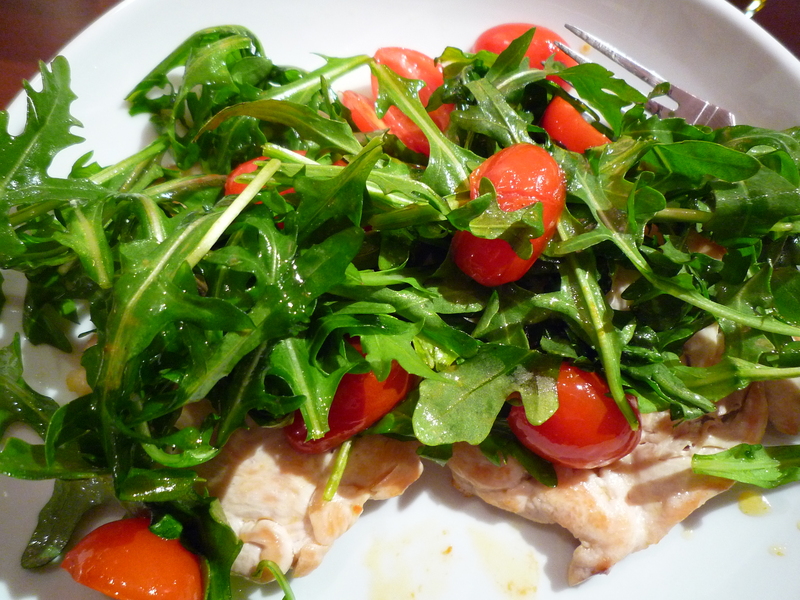 Plate chicken and top with arugula, tomatoes. Sighhhh. I already feel less stressed after writing this! Happy Cooking! light and colorful – my favorite type of dinner meal. It looks so fresh and healthy. I love the recipe. Can’t wait to try it.